Minister for Transport and Infrastructure Andrew Constance announced the removal of overhead wires from the Newcastle light rail plan as part of a suite of upgrades that will include more public open space. Mr Constance revealed Newcastle light rail vehicles will be fitted with on board energy storage as part of the changes, to remove the “spider-web” of overhead wires and preserve the city’s heritage. “Implementing world class light rail technology aligns with our plans for Newcastle to become a major university town and a city known for cutting-edge research and innovation. 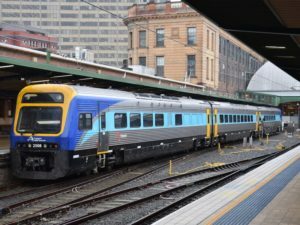 Minister for Planning Anthony Roberts said the suite of urban amenity upgrades will allow more open space for outdoor dining, street trees and will connect light rail customers with new activity precincts including Darby Plaza and Civic Link. “We’re improving the experience of being in and moving around this great city,” Mr Roberts said. Mr Constance and Mr Roberts thanked the Parliamentary Secretary for the Hunter, Scot MacDonald, who has advocated for the changes on behalf of the people of Newcastle.